Andres Iniesta is a Spanish professional football player who has served 21 years for Barcelona and the Spain national team. As captain of Barcelona, Iniesta has become Spain’s most awarded Spanish footballer, and was a main player in ensuring Barcelona’s two treble wins in 2009 and 2015. He’s a much respected and love footballer across the globe. The 34-year-old legend is set to depart from Barcelona and move to Vissel Kobe. 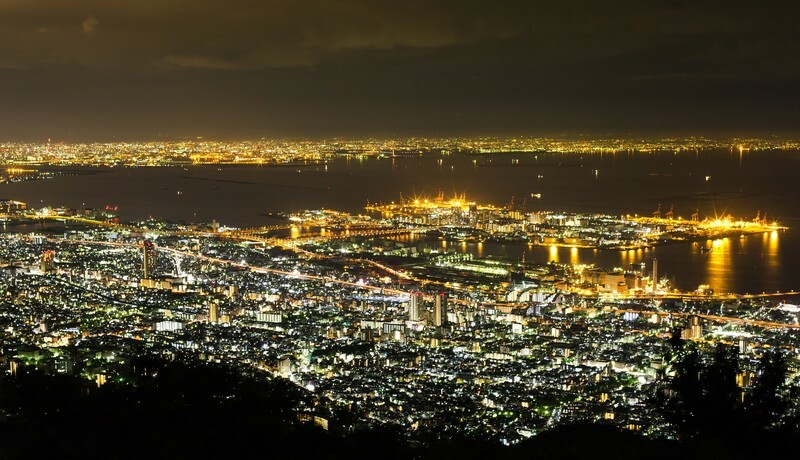 In this article, we take a look at what kind of place Kobe is. Kobe is located in the western part of Japan in Hyogo Prefecture and is next door to Osaka. It’s just a 30-minute train ride from Osaka Station to get to Sannomiya Station in central Kobe! Its location makes it a perfect chance for plenty more sightseeing after touring around Osaka. Arima Onsen is one Japan’s three oldest hot spring locations. A representative hot spring town of the Kansai region, this place has a peaceful and tranquil appearance. The Kin no Yu (‘Golden Waters’) hot spring is an especially recommended part of the town. It sits in a reconstructed public bathhouse, and there’s also a free footbath at the entrance. Over at Gin no Yu (‘Silver Waters’), the water is transparent, but as you waft the air the iron oxidises and turns it into a brown colour. It’s about an hour’s train journey from Osaka Station, making it a great place to relax after a day’s outing in Osaka. Nankin-machi is considered one of Japan’s three big Chinatown locations alongside the ones in Yokohama and Nagasaki. It’s a tourist hot spot with an exotic mood and is home to almost 100 shops and restaurants serving everything Chinese. You can enjoy having a bite to eat while walking the streets, or even just take in the sights on a stroll. This historical shrine is one of the oldest in Japan having been around for more than 1,800 years. Its red torii archways and structures are very beautiful. It’s home to a goddess of marriage and brings in droves of people every year from Japan and abroad to pray there. It’s about a 10-minute walk from Sannomiya Station. Do you know the proper manners and etiquette of praying at a shrine in Japan? If not then be sure to check out our step-by-step guide. Harborland is a huge shopping district packed full of restaurants, cafes, a movie theatre, Ferris wheel and more―plenty of an whole day out. It’s a great location to feel the true essence of a Port of Kobe town. The picturesque nighttime scenery after sunset is a must-see. The myriad of illuminations and lit-up boats are truly a magical sight to behold. Nōfuku-ji is home to one of Japan’s three great daibutsu Buddha statues, the others being in Kamakura and Nara. The original Buddha was built by the monk Saichou in 805 but the one that stands there today was rebuilt in 1991. It’s said to absolutely hear the wishes of those that pray to it, so if you have something you want to pray for then be sure to visit. Kobe Port Tower―the symbol of Kobe. Its red and white appearance is unique and striking. There’s an observation deck on the top floor where you can gaze over Kobe atop 108m. Things get romantic at nighttime when the tower it lit up. Kobe is about to get all the more exciting with the decision of Andres Iniesta’s move. The list of sights to see is endless, from delicious food to the gorgeous nightscape and shrines. Don’t forget to visit Kobe if you’re travelling in the Kansai region. Next » MOSHI MOSHI BOX staff recommends Osaka souvenirs! 【Travel Q&A】What’s the most convenient way to get around Japan? 6 questions about trains, taxis and Uber!